We already looked at 10 players who’ve been pleasant surprises as we reach the quarter mark of the 2013 season. Today it’s time to shine a spotlight on the busts. We’ll use the same format as we did earlier this week — expectations, reality, and whether it will continue — but add a special fourth category to deal with the possible fallout if the player continues to struggle. 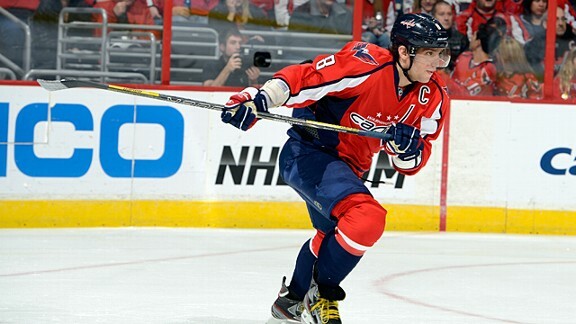 The expectations: After winning back-to-back MVP awards by the age of 23, Ovechkin seemed like a generational superstar. But after two straight seasons that saw his scoring plummet by 20 or more points, Caps fans were holding their breath hoping for a return to dominance. The reality: It’s been ugly so far. His production was disappointing — he managed just three points in the team’s first eight games — and new coach Adam Oates had him playing on a bizarre line with grinders Jay Beagle and Joey Crabb. Meanwhile, the Caps look like a disaster, sitting in last place overall. Can he snap out of it? He’s shown signs of life over his last four games, recording five points — including his only multi-point game of the season. What if he doesn’t? The trade talk has already started in Washington, but it’s probably moot — if Ovechkin can’t get his game going, his contract likely makes him unmovable. Owner Ted Leonsis must have realized he was gambling the franchise’s future on Ovechkin’s extension, and at this point it’s looking like he might have made a bad bet. The expectations: Kessel is the Leafs’ best player and was coming off a breakthrough year that saw him finish with career highs in goals and points, good enough to rank him sixth in league scoring. The reality: Kessel began the season with a well-documented 10-game goalless drought, despite being among the league leaders in shots on goal. 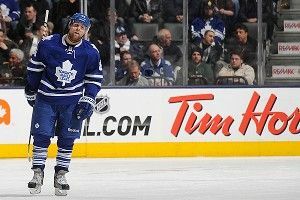 He also lost line mate Joffrey Lupul to a broken arm that will keep Lupul out of the lineup for much of the season. Can he snap out of it? He’s already ended the scoreless streak, recording the winning goal against the Jets on Thursday and adding his second of the year in a blowout win over the Habs on Saturday. Kessel has a reputation as a streaky player, and his high shot totals during the slump always suggested that it was as much a result of bad luck as anything. What if he doesn’t? 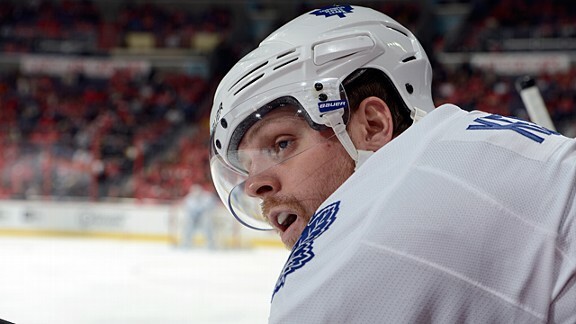 In most cities, Kessel would eventually get back on track and the slump would be forgotten. But this is Toronto, where everything is overanalyzed by obsessive fans and media. The Leafs are winning now, but if they start to drift out of the playoff race, you can expect to hear plenty of chatter about Kessel being dealt. The expectations: Elliott was a surprising All-Star last year. That was largely a product, the thinking went, of the arrival of Ken Hitchcock in St. Louis. 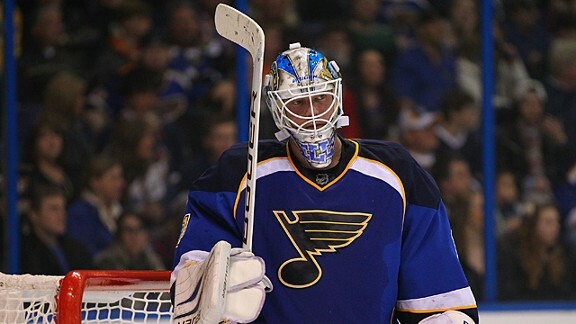 While a little regression was expected, Blues fans hoped he’d still be an excellent no. 1a to Jaroslav Halak’s no. 1. The reality: He looked OK in January, but when Halak tweaked a groin and had to miss time, Elliott got shelled. He’s given up four or more goals in four straight losses, and finds himself sitting with a league-worst .849 save percentage. Can he snap out of it? The temptation to yell “I told you so” here seems overwhelming, though that’s probably excessive after one week of bad games. With Halak’s return delayed again, it looks like Elliott will get another chance to reestablish his game. What if he doesn’t? Despite posting an excellent 2011-12 in a contract year, Elliott didn’t exactly hit the jackpot on an extension. He’s signed through next year at an annual cap hit of $1.8 million. That means the Blues can be patient, because even if he reverts to his career backup ways, he’s still not outrageously expensive. The expectations: Quick had a fairy-tale 2011-12 season, racking up a Vezina nomination, the Conn Smythe Trophy, and the Stanley Cup, and capping it all off with a 10-year extension. 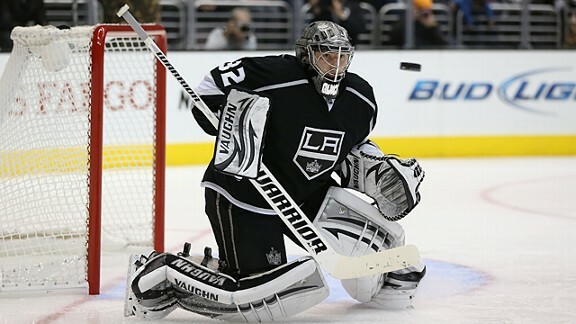 Going into 2013, the Kings were looking for him to pick up where he left off as one of the NHL’s elite goaltenders. The reality: He’s been pretty average so far, and that might be generous. The 2.70 GAA looks solid until you consider the .891 save percentage, and he’s won only three times in 10 starts. Can he snap out of it? It’s hard not to think that he will, especially if you watched his jaw-dropping work during last year’s Cup run. That said, it’s been pointed out that Quick’s career numbers prior to last year weren’t all that great, which raises some one-year-wonder flags here. Oh, and did we mention the offseason back surgery? What if he doesn’t? You saw the part about the decade-long contract extension, right? The Kings are locked in here. The expectations: While he’s not the 50-goal, 100-point threat he was in his prime, the veteran winger was still expected to score at the pace that saw him rack up over a decade of consecutive 30-plus-goal seasons. The reality: He’s struggled early, recording just one goal in his first 10 games. Can he snap out of it? Of course he can. Look, Iginla’s been a slow starter in other seasons and always rebounded. The only question this year seems to be whether he’ll get a chance to complete the full turnaround in Calgary, or be moved out as part of a late-season rebuild. What if he doesn’t? Ordinarily you’d worry that an off year would torpedo his trade value, but Iginla brings so much to the table in terms of leadership and physical play that contenders would line up for a chance to deal for him even if he was still mired in a slump. 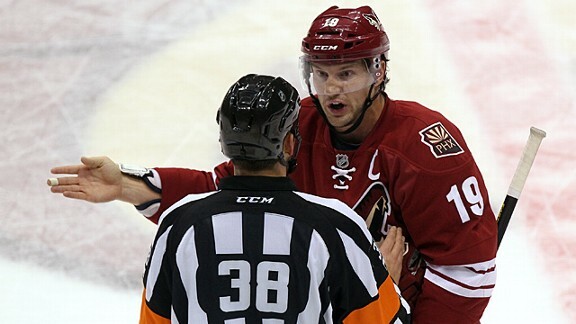 The expectations: As a 35-year-old free agent, Doan spent the offseason listening to offers from Stanley Cup contenders before deciding to return to Phoenix with a four-year deal. He’s old enough that his days of scoring 30 goals are likely long gone, but something along the pace of last year’s 22 goals and 50 points seemed reasonable. The reality: Heading into Monday night, Doan had just two goals and was mired in a seven-game pointless streak for a Coyotes team that hasn’t seemed able to build on the momentum of last year’s final four appearance. Can he snap out of it? He may have done it Monday, notching two goals, including the OT winner against the Avalanche. He’s been consistent enough over the years that you’re tempted to give him the benefit of the doubt, though the track record of power forwards entering their late 30s isn’t exactly inspiring. What if he doesn’t? We’d suggest that Coyotes ownership would start second-guessing the idea of giving so many years to a player who’ll be 40 by the time his deal runs out, but that assumes that “Coyotes ownership” is a concept that will ever actually exist. The expectations: Weber’s been arguably the best defenseman in hockey over the past few years, playing big minutes and scoring double-digit goals in five of the last six seasons. That dominance (and a Flyers offer sheet) helped him earn a massive 14-year deal from the Predators that made him the league’s highest-paid player this year. The reality: Weber has no goals and just one assist through 12 games. Can he snap out of it? 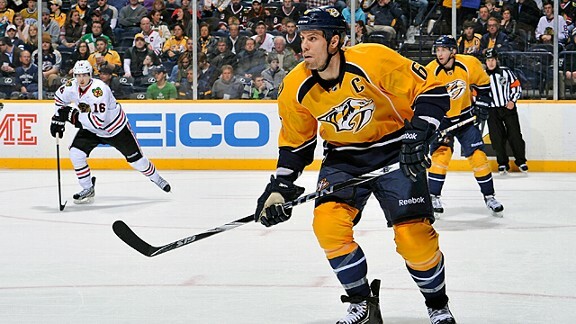 He’d better, since thanks to the front-loaded offer sheet, the Predators are stuck with him. The expectations: Fair or not, his $98 million contract with the Wild set the bar firmly at the “superstar” level. That was despite the fact that he had never even been the best defenseman on his own team, thanks to being paired with Weber in Nashville. The reality: Twelve games in, Suter is goalless and sports a -6 rating. 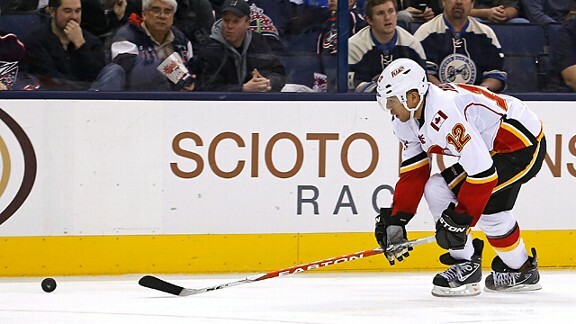 He hadn’t been a plus player in any game all season until Monday night’s win over the Flames. Can he snap out of it? It’s worth pointing out that despite the mega-contract, Suter’s never exactly been a goal-scoring threat. Suter looked good against Nashville on Saturday, recording two assists in over 30 minutes of ice time, and it seems only fair to give him a chance to settle in on his new team. What if he doesn’t? Suter’s hardly been the only disappointment so far in Minnesota, since Mikael Granlund or Devin Setoguchi could also have made this list. But it’s not like the Wild are in a position to panic with Suter — after all, he’s got the better part of 13 years left to get back on track. The expectations: Myers was the league’s top rookie in 2009-10, with his combination of size and offensive skill leading optimists to draw comparisons to Zdeno Chara. 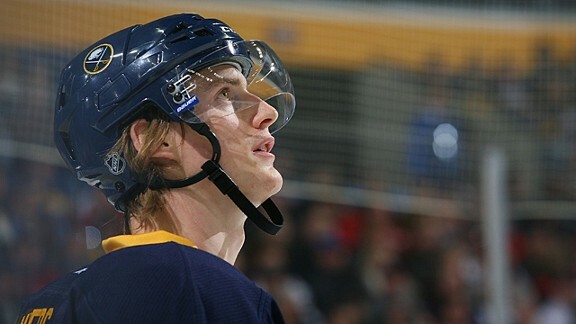 He stumbled a bit in his sophomore season, but the Sabres still saw fit to hand him a seven-year, $38 million extension that kicked in this season and included a lockout-proof $10 million signing bonus. The reality: There’s no nice way to put this: He’s been awful, with just one point and a -9 rating that’s among the league’s worst. It’s been so bad that the Sabres made him a healthy scratch over the weekend. What if he doesn’t? I’d be tempted to say that a prolonged Myers slump would lead to disaster for the Sabres, but they might be there already. Buffalo media have the knives out, and this could get ugly. 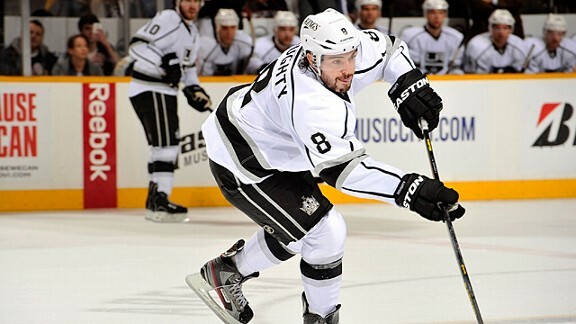 The expectations: After opening his career with a three-year run that included a Norris Trophy nomination and an Olympic gold medal, Doughty missed the start of last season while waiting to hammer out a long-term deal with the Kings. Once he signed and shook off the rust, he had a strong season and was a dominant force during the Kings’ Cup run. The reality: So far he’s managed just four assists in 11 games, and his -10 rating is the worst in the entire league. Even for a stat like plus/minus that holds (and this is being generous) somewhat questionable value, “worst in the entire league” isn’t a phrase you want associated with your highest-paid player. Can he snap out of it? He’d recorded points in three straight before a pair of ugly efforts against the Predators and Red Wings, so the signs of life are there. More importantly, the fancy stats suggest that at least part of his problem is that he’s been really unlucky.